McCraken, a multiple Graded Stakes-winning son of leading sire, Ghostzapper, has been retired from racing and will stand at Airdrie Stud in Midway, Kentucky in 2019. A homebred for Mrs. Janis R. Whitham's Whitham Thoroughbreds, LLC, and trained by Ian Wilkes, McCraken first rose to national prominence during an undefeated juvenile campaign in 2016 that included recognition as a TDN Rising Star and dominant victories in the Grade 2 Kentucky Jockey Club and Street Sense Stakes at Churchill Downs. McCraken cemented his place at or near the top of all Kentucky Derby Future lists with a track-record setting 3-year-old debut in the Grade 3 Sam F. Davis Stakes at Tampa Downs. Employing the explosive turn of foot that day that characterized all of his biggest performances, McCraken defeated future Grade 1 classic winner Tapwrit while spotting that talented rival six pounds to extend his undefeated streak to four races. 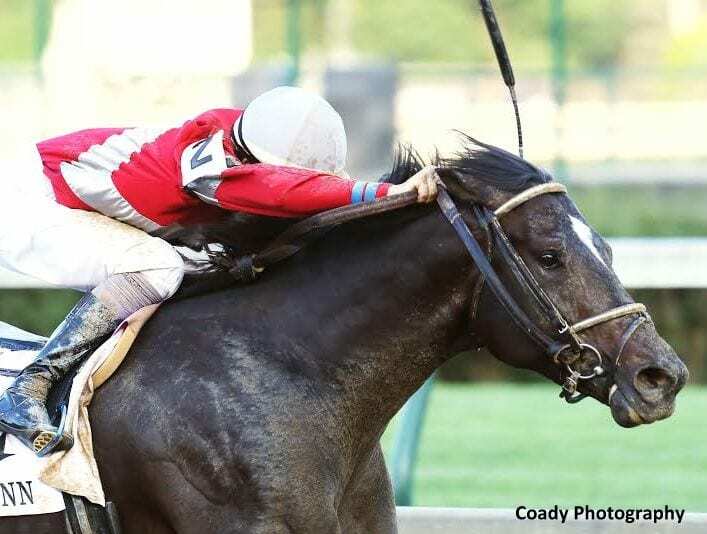 A well-chronicled ankle twist kept him from an intended start in the Grade 2 Tampa Bay Derby, and McCraken later returned with a third-place finish as the 8-5 favorite in the Grade 2 Toyota Bluegrass Stakes at Keeneland before finishing a troubled eighth in the Grade 1 Kentucky Derby. His return to the winner's circle came via a commanding victory as the 1-5 favorite in the Grade 3 Matt Winn Stakes at Churchill. That dominant performance was followed by an anguishing second-place finish in the Grade 1 $1,000,000 Haskell Invitational. Taking the lead by open lengths after a sensational move around the final turn, McCraken was caught in the last jump by the surging Grade 1 winner Girvin. The final margin was a nose and he was followed home by leading 3-year-olds Practical Joke, Battle of Midway and Irish War Cry. A winner and Graded Stakes-placed at 4, McCraken was retired following an unplaced finish in last month's rainstorm-affected G1 Whitney H. at Saratoga. In all, he won six times with four placings in 14 lifetime starts, and earned $869,728. Bred from a deep Whitham family, McCraken is the second foal out of the Seeking the Gold mare, Ivory Empress, a young Graded Stakes-placed sprinter whose first foal, Bondurant, is also Graded Stakes placed. Ivory Empress is out of the Graded Stakes winner and Grade 1-placed, Madame Pandit, who is also the dam of the Grade 1-winner, Mea Domina. McCraken will stand for $10,000 in 2019. This entry was posted in Bloodstock, NL Article and tagged Airdrie, airdrie stud, ghostzapper, haskell, Ian Wilkes, janis whitham, Kentucky Jockey Club Stakes, Matt Winn Stakes, mccraken, Sam F. Davis Stakes by Press Release. Bookmark the permalink.